Dr. Curran's experiment, which he continued over the next eight years, attempted to prove scientifically a weather rule of thumb that was as old as the hills around Bear Mountain. 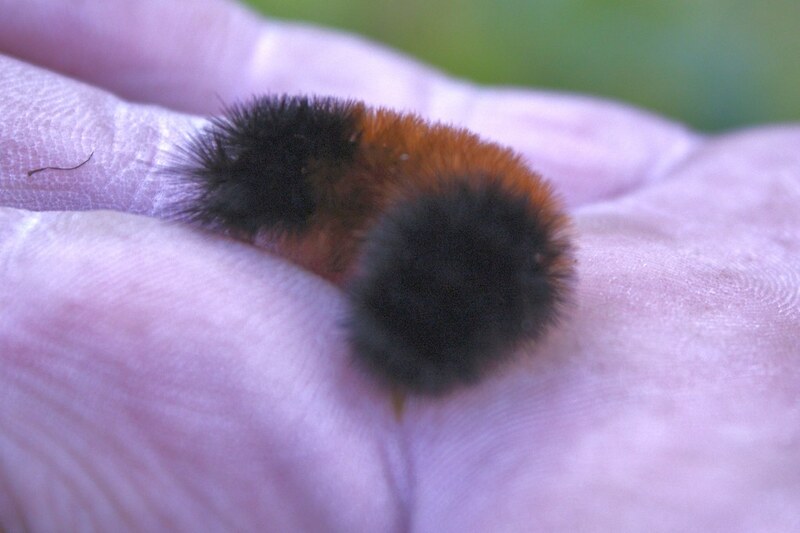 The resulting publicity made the woolly bear the most recognizable caterpillar in North America. A funny thing: I can't remember ever seeing an Isabella tiger moth. You can see them at bugguide.net. You can also read more scientific information about them there! Since I don't live in a beautiful spot, I'd just as soon have a mild winter. Maybe if we have a mild winter here, we can send some of our cold and snow to you and you can have a more severe one--wanna trade?